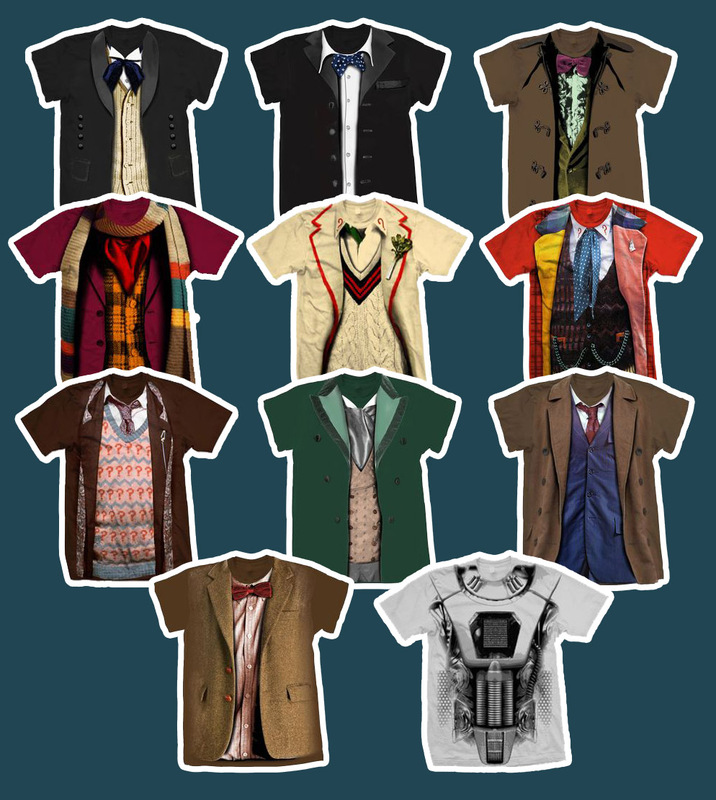 Forbidden Planet’s release of Doctor costume t-shirts nears its completion with the latest wave of shirts. So far One, Three, Four, Five, Six, Seven, Ten and Eleven have been released. Now the gaps are starting to be filled with the Second Doctor. 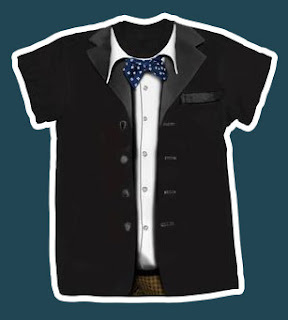 I’m not over convinced by this shirt – the lapels are too light and the breast pocket too visible. maybe it will look better on a printed shirt. 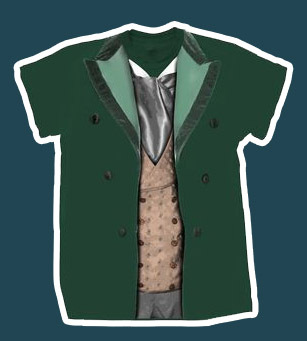 Also released is the Eight Doctor. 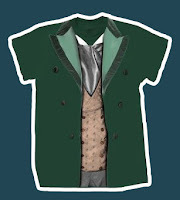 This is clearly based on the costume on display at The Doctor Who Experience as the positioning of the buttons matches this rather than the screen used coat. The waistcoat fabric also is the same as the display. 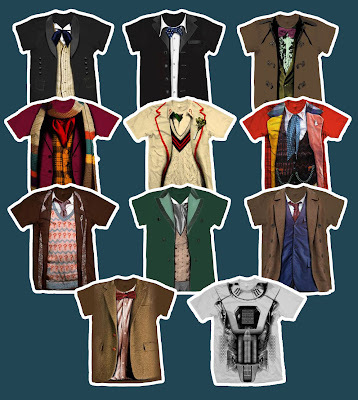 With the Cyberman shirt, and ten of the eleven Doctors available, it’s almost two weeks of wear without any washing! !